New report shows continuity with past administrations. (Washington, D.C.)—A new report from Partnership for a Secure America and the Arms Control Association reveals a concerning diminution of congressional engagement and interest in critical efforts to prevent nuclear terrorism. 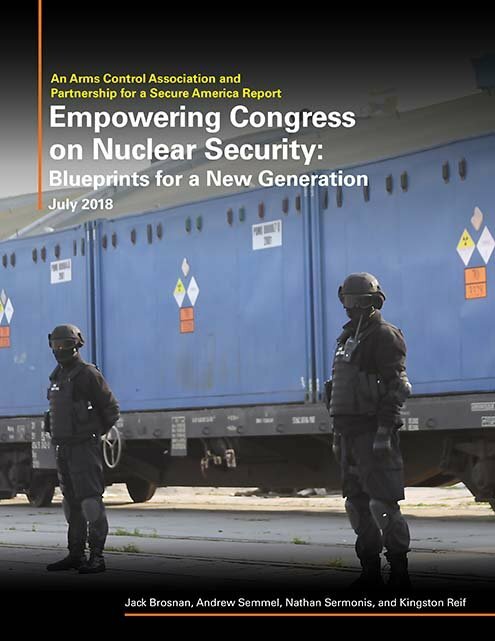 The report, Empowering Congress on Nuclear Security: Blueprints for a New Generation, assesses current congressional staff attitudes about nuclear security and explores the role of Congress and case studies in congressional leadership on this issue. The report also offers action items for lawmakers in enhancing nuclear security efforts and reducing global stockpiles of nuclear materials. This joint report, made possible by funding provided by the John D. and Catherine T. MacArthur Foundation, comes at a time when national attention on the security of nuclear and radioactive materials is decreasing even as these materials remain at risk from theft and more countries express interest in nuclear research and development. To mark the publication of the report, Partnership for a Secure America and the Arms Control Association will be hosting an invitation-only event July 26 on Capitol Hill for congressional staff. The event will feature Ambassador Linton Brooks, Ambassador Bonnie Jenkins, and General Frank Klotz. For more information about the report, please contact Partnership for a Secure America at [email protected] or (202) 293-8580, or the Arms Control Association at [email protected] or (202) 463-8270 ext. 104. The full report, Empowering Congress on Nuclear Security: Blueprints for a New Generation, is available online. 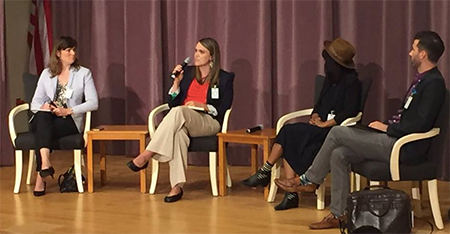 Preventing a weapon of mass destruction attack by a nonstate actor will be a long-term challenge that requires long-term responses. 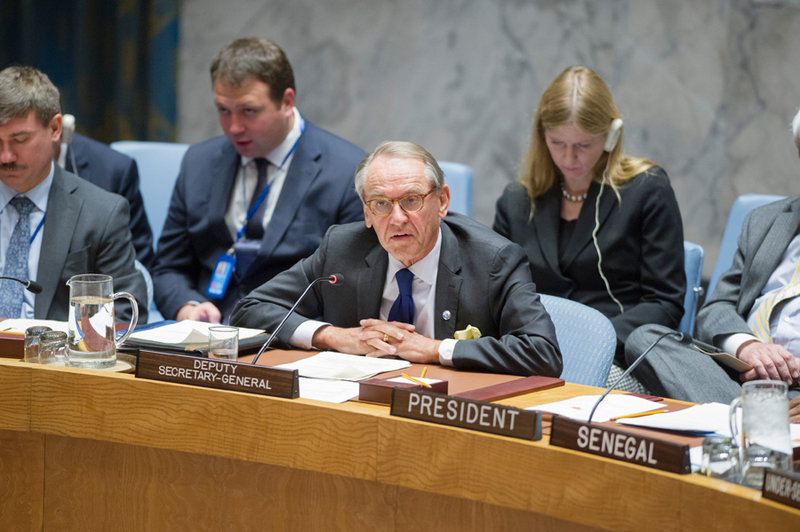 Members of a voluntary initiative to strengthen nuclear security and prevent nuclear terrorism met last month to discuss the initiative’s work over the past 10 years and lay out new priorities. 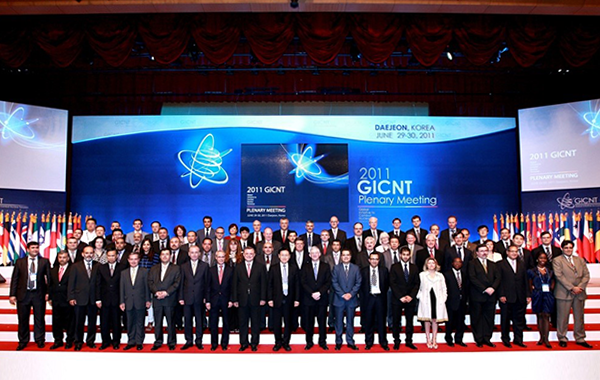 The Global Initiative to Combat Nuclear Terrorism (GICNT), formed in 2006 by Russia and the United States, now comprises 86 member countries that work to strengthen global capacity to prevent, detect, and respond to nuclear terrorism. The partner countries met in the Netherlands on June 15-16. Rose Gottemoeller, U.S. undersecretary of state for arms control and nonproliferation, and Mikhail Ulyanov, director of the department for nonproliferation and arms control in the Russian Ministry of Foreign Affairs, co-chaired the meeting, which included six sessions that addressed the initiative’s past work and new areas of focus. The Dutch coordinator of the implementation and assessment group recommended that legal experts should be involved more in working to “assess and strengthen legal frameworks,” according to the chairman’s summary. The GICNT has three working groups covering nuclear forensics, nuclear detection, and response and mitigation. There is also an implementation and assessment group led by the Netherlands that oversees GICNT activities and coordinates other international efforts to prevent duplication. According to the chairman’s summary, the GICNT has held more than 80 multilateral activities and produced seven documents that build on the initiative’s foundational guidelines to enhance national capacity to prevent, detect, and respond to acts of nuclear terrorism. Japan will host the next plenary meeting of the GICNT in June 2017.